Komamura Corporation was established in 1947 and has for more than 60 years been an important player in the international professional camera business. Komamura Corporation developed and marketed the Horseman Professional Camera product range. First for large format film and later new models with world first technology for digital photography. 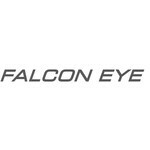 Komamura Corporation has now shifted the focus from professional photographic equipment into ultra high sensitivity recording technology, and has amazed the world with the introduction of the new Falcon Eye product range.